First and foremost, you have to take care of yourself to be able to properly take care of your loved one. Make sure that you still eat nutritious food even when you are giving care. You should exercise, even if it is just taking the stairs or walking around the neighborhood. Don’t neglect your own health. It is highly recommended that you meet the professionals involved in your loved one’s care – the doctors and the caregivers offering Home Care in Delaware. That way, you can ask them for advice, as well as further information about the ailment that your loved one is suffering from. It is also through these professionals that you can identify the right resources to rely on to help you overcome this experience. Don’t allow yourself to be isolated. 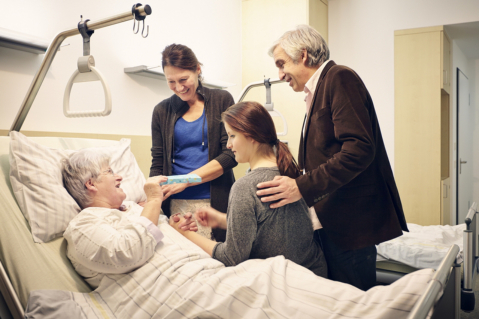 As your loved one needs Non-Medical Home Care in Dover, Delaware, you need moral support. There are many benefits you can get from just the moral support provided by your friends and family members. Simply sharing your own thoughts, fears, or frustrations about the situation can help alleviate some of your emotional burdens. When everything seems to be getting out of your hands right now, you have to strive to get back even a little bit of control in your life. One suggestion on how you can restore a little bit of normalcy in your situation is deciding how your day will go about. You can decide to wear what clothes, go eat anywhere during lunch, or get a cup of coffee before going to the hospital. The future is unpredictable. Despite how everything may look right now, you can’t really say what’s in store for you in the future. That is why you should never lose hope. Always hold on to the hope that your loved one will recover soon. If you are feeling lost or fearing the worst, don’t hesitate to call your friends or family members. Reaching out to your support system can definitely help you a lot. Just because your loved one is sick doesn’t mean you should despair and lose hope. Your loved one is still fighting and you have to be there to support him or her during this difficult time of his or her life. Make sure that you provide proper In-Home Senior Care. If you need help with caring for your sick loved one, just give Americare Home Solutions a call at 302-747-7424. This entry was posted in Home care, Tips and tagged exercise, nutritous food, professionals, proper care, support. Bookmark the permalink.